Earlier this month, President Trump signed into law the Binding Operating Directive 17-01 (BOD). The BOD called for a ban of Kaspersky Labs products on U.S. government devices. Throughout this year, concerns have risen regarding potential ties between the Russian government and Russian-based security program. Regardless of the allegations, or suggested evidence supporting ties between Kaspersky and the KGB, the U.S. government has not released a statement or solid proof of such. Along with the lack of evidence provided, the company is also claiming they were not allowed due process. Therefore, the company is now suing the Department of Homeland Security over the BOD. Although the U.S. government only accounts for .03% of total Kaspersky sales, there are concerns this ban will result in additional loss of sales throughout the United States. 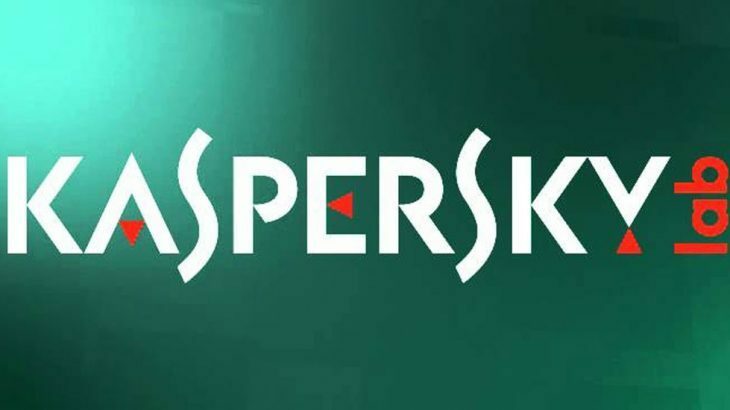 Since these allegations have been brought to light, Office Depot and Staples have dropped Kaspersky Labs products from their product line offered in-stores and online. Beyond losing retail space, the company has also reported a significant uptake in refund requests and early termination requests. TechTalk Slider, tips BOD, DHS, kaspersky. permalink. Just realized the main reason why Prez Trump is attacking AMAZON, they like Walmart Sell most of the foreign products purchased in America, and what better way to disrupt foreign sales than to blame Amazon for the woes of the USPS. I see all these negative comments for software that would have to be very near the top of the list when it comes to the best. Up until recently i swore by Kaspersky, and i still do, but a little while back they had a bug that caused it to slow down my system. Back then i made the move to Bitdefender, and have stayed with Bitdefender which are in my books, and according to many reviews and tests, the number one AV software at the moment. My parents and some friends still use Kaspersky, and they are happy, and i happily suggest for them to stick with it, it’s what they know best, and it’s still very close top the top of the list. Another reason I’ve remained with Bitdefender is the price, they are more affordable, and they often have specials, which i take them up on whenever i see them. Kaspersky may be Russian, and Bitdefender is Romanian, and both are the best in my view, and according to many reviews i have read. The bottom of the barrel would easily have to be Norton. It’s bloated, and a resource hog, and doesn’t do a good job at protecting anyone. At the end of the day, i would fear American software more than any others, after all, it’s all bugged, and monitored, and it’s no secret, it’s all in the open these days, although much more monitoring the American government does, is still hidden. I suppose that’s why VPNs are so popular these days, us non Americans don’t want the American government to spy on us, and the many Americans who don’t want the American government to spy on them either. @Steven: THAT’S BECAUSE THEY WRITE MOST OF THE VIRUSES THEY CLAIM TO HAVE QUARANTINED. IN THE EARLY 2000 THERE WERE VIRUS WARS EACH TECH FIRM RELEASING AND QUARANTINING EACH OTHERS MALICIOUS SCRIPT. IF YOU DIDN’T GET AN UPDATE IN TIME YOU WERE TOAST! NORTON DISTRIBUTED THEIR FIXES EAST TO WEST SO IF YOU WERE ON THE TAIL END OF THE WEST SECTOR AND A VIRUS WAS RAMPANT CHANCES ARE YOU GOT HIT BEFORE THE FIX ARRIVED. I’M AN IT TECH, I KNOW. There were and still are many hackers, creators of malware, and malware distributors from that part of the world, not just Russia, but many other countries as well. There have been many in America who do the same. i doubt that too many countries can claim that they don’t have such people in their countries. No matter what Trump and his cohorts say, these companies are still the best at what they do, and the only reason Trump wants to hurt Kaspersky, is to save his own bacon. he’s been caught with his pants down, and wants to deflect the attention. i may not be an American, but those of us in other countries have an unbiased view on these things. With Norton, they used to be good in their early days, but they got greedy and bloated their software so much that it affects the performance of the computers it’s installed on. i too have worked in IT, and am constantly barraged by friends and family, and their friends who want their computers fixed. The first thing i do is to get rid of Norton, if they have it, and install either Kaspersky, or Bitdefender, and most of their troubles go away. Some have even found malware on their computers that Norton had let in, even stuff that Norton should have picked up. My wife’s aunty who swears by Norton had money stolen from her bank account. i then got rid of Norton, installed Kaspersky, and it immediately picked up, and cleaned her computer of the malware that had logged her keystrokes and reported her banking details. I then got her to call her bank and change her password, and luckily they were able to recover her money. She also had to make a police report, so her bank could return the money. One week later, she had uninstalled Kaspersky, and reinstalled Norton, and that very day, she had $1000.00 taken from her bank account again. I had to go through the same process, and she was reimbursed by her bank once again. This time though, i had created a user account for her, and passworded the administrator account. Now, if she wants anything installed, she calls me, and i do it for her, if it won’t cause problems. Since then, she has been safe, and hasn’t had any further problems, although, she does keep asking for the password, but in her best interest, i won’t give it to her.She’s elderly, and not tech savvy, and that is the best way to protect her. My IT experience was in one of our large telcos. I was a systems tester, for various in-house project teams. I often had to write code using IBM-C JCL, SQL via QMF. I still remember the early days when we had 286s with 20mb hard drives. i often look back and laugh at it, and think that my mobile phone is way more powerful, and now even my watch is far more powerful lol. Trying to decide who are actual clients vs. PCMatic commercials? Most likely most are serious comments and not from PcMatic. I don’t owe PcMatic anything, but am thankful for an American made software. As I said in an earlier comment, I was a Naval spy (for 6 years) at one time and I know a lot of things that other countries (especially Russia and China) do to us. I would not use any countries security software other than one “made in America.” Most likely the Russians have a “back door” in their security software. Quit thinking you may hurt yourself.. I am a PCM user not a commercial. I have 5 PC’s being protected by PCM and in my opinion it’s the best AV on the market today and anyone using a Russian AV is a damn fool. I’m a retired IT professional and I use and recommend PCM to anyone who asks my opinion. When I discovered the the Kaspersky AV was a Russian product I vehemently advised anyone and everyone that had enough sense to listen that I do not and never will trust any Russian software much less an AV that could “phone home” any time it’s programmers wished. I have and will continue to be a PCM proponent and user. Would appreciate more “techtalk” from PCPitstop and less “political” reporting. Everyone is spying on everything so no one should be deluded about security. The biggest offender is the US government. Use what works and don’t record/communicate what you don’t want in the public domain. @D. Harrison: You make a good point. Most security software leaves a back door they can use to do whatever like charging your new credit card if you have used it online. I trust no one except PCPitstop. I use only one card on line that has a low limit that I requested when I got it from my credit union and I monitor it weekly. If you want to the the NSA and CIA and FBI wander through your computer at their leisure, go ahead and buy American. If, on the other hand, you want to limit their ability to spit on the 4th Amendment, Kaspersky is your best bet. @Mark Matis: Maybe I don’t want Putin or his cronies in Russia looking over our stuff. I also thought Kaspersky was our best bet until they completely botched our bill and then made it worse. Then its been PCMatic all the way for us. Try PCMatic, you’ll like it! @PCMaticLifetimeCustomer: Is that you, James Comey? @Mark Matis: Another good point. Kaspersky was our product of choice before irregularities in their billing system, billed us 3 times for the same service and when I phoned, then billed us a 4th time. My credit card company finally took care of the matter, closed out that account, and issued us a new card. Shortly after that we found PC-Matic (or did PC-Matic find us?). Then Kaspersky has been in hot water and we are glad, very glad, we are with a U.S. company. I am 100% in favor of the us government banning Kaspersky. P C Matic is the way to go. Oh boy! Some more hysterics from the US Sh*t-stirrer in Chief! Everything so far stated (IF what has been printed here came directly from the actual source) is supposition & not evidence at all. Must be that super-strong kool-aid being served at the Stockholm-Syndrome-victims-for-Chump parties…. Kaspersky makes a very good product (only one capable of being installed into an infected system) & that grates people. Maybe that’s what Chumpie meant when he said, “make Amerika GRATE again”? Because, man-o-man, he sure does that well. You just go right ahead and show everyone how pink you are. Nothing like a purely-stupid individual to post political opinion as a basis for supporting use of software made by a known adversary. We do live in the US and individuals chose what they want as well as the government. One thing that seems to have been forgotten is that if any real evidence was found that Kaspersky was involved in any underhanded cyber shenanigans through its products, their reputation – and therefore their business – would be completely destroyed worldwide. They would go out of business fast. They know this, and would not engage in such activities. There are large numbers of talented hackers around the world who are capable of finding out such activity, and they have found nothing. Having said this, the fact that the CEO has had personal experience with Russian operations means he has inside information on how they work. I would be willing to bet money that that was one of his motivations, and source of experience, for developing their own security programs. He recognized the vital need for such programs. That may be why Kaspersky is so good. @Jane: Read on you Sweet Child There is LIVING proof that there have been problems with some of their products. Oh and if you do not like this Stirrer in Chief you can do two things Vote him out or Move…. I would really like if you would move …… Another country! Where would you be accepted! Go ahead and install the Russian soft ware because it is so good…next you will have a security issue too late to do anything about…why endanger US government computers with the “Software Of Our Sworn Enemy”…let’s make some sense here…OK!!!!! Oh, Jane…Merry Christmas to you and maybe your next Christmas will not be filled with such animosity as 50% of Americans have felt for the last 8 years! Where can we meet to discuss this in WA, AU? I want to exchange our views & maybe be swayed– either way. I switched to PCMatic even before the last election cycle having worries about a foreign source. Glad I did. I would not want my PC to be a portal through which other systems could be hacked or compromised, like the accusations that have come out of the Presidential election. I used it for a while but my intuition took over and I got PC MATIC, and have felt safe ever since!!! I switched to PCMATIC almost 3 years ago. It is the best Virus & malware protection I have ever used. It is American made and maintained in America. Wouldn’t use another foreign made security program. Don’t use Russian software, use American made. I use PC MATIC and have been for half a year and it is the best protection software I have ever used. Never have any trouble, pc runs fast and their scanning system is very thorough and you get a good results page that shows everything they did. I will never again be without PC MATIC again and by the way, I do not work for them or have any connection to them other than their great virus protection softwarde. After many years of using Kaspersky on both PC & Mac, for various reasons my wife & I decided to switch to other security software. We had multiple accounts with Kaspersky with the different Mac & PC products. There were issues when trying to stop the automatic renewal on those products but by the time they would come up for renewal, the credit cards associated with those accounts had been cancelled due to credit card fraud problems not related to Kaspersky (as far as we knew). To our surprise one product was renewed , followed a few months later by the renewal of the other product. In both cases, somehow Kaspersky used new credit card numbers that were not provided to them by us. In fact the second renewal was completed using a new credit card number that we got due to the unauthorized use by Kaspersky to renew the first product! We had to depend on our credit card company to get our money back on the first renewal. I don’t know how they got the new credit card numbers and believe they committed fraud by using them. They may have a good product but due to our experiences with their misuse of our credit cards, I would agree with the directive to stop the use of their products in government offices. @DW: What a a load of twaddle ! Thank you Mr. president. It has long been a sore point with me having anything done by a foreign company when US products are not only better, they are safer and benefit US! Russians have been spying on us for many years. I am an old spy from Naval Security Group. We spy on them, they spy on us. We need to close our doors to them. Getting rid of Kaspersky is one of the doors. I’ve enjoyed using PC Matic now for years. Made in America! Many have innocent minds thinking Russian made software doesn’t have a back door of some kind. When I was a spy for the U.S. Navy the Russians were involved in most everything we did. We had a base in Turkey and Radio Moscow could even tell us when we left a light on in one of our buildings on the backside of our base. When I was in Africa, the Marines caught a Russian making sketches of our antenna system. The Russians have gotten better because they have copied us in communications and many other things. I was on the Franklin D. Roosevelt, an aircraft carrier, and the Russians would follow us all around The Mediterranean Sea. At nights they would get very close to our ships so they could intercept our Navy signalmen messages (between ships) with their flags or lights. One day the captain of our ship had a helicopter fly over to the deck of the Russian ship that was following us and drop a barrel of ice-cream off on their deck. Bet they enjoyed that. The Russians, like the Chinese, are spying on us from EVERY ANGLE they can. We are doing the same thing. So, if you think the Russian software is free you are not thinking very well. Our president, Mr. Trump, has a reason for taking Kaspersky off our government equipment. Trump has intelligence agents telling him to do so FOR A REASON! Jane, what profit is there in using four-letter words or ‘toilet-word’s’ like you have when driving home a point of your personal discorse towards any sitting President of the USA? P.S., to Richard Dirsa: @Charles Jemeyson: I love using PC Matic and thank you Mr. President for your action in this case. Mr. Louis ‘A’…. I don’t have the issue I use P C Pitstop to begin with. Get the damn Russians out of our computers and out of the White House…PERIOD!!! James, the Russians have been out of the White House since January 20th. Thank you Prez Trump for closing a door to Russian computer security. PC Matic is all-American and is better by far! Lawsuit will get nowhere….It’s about national security! And anybody wanting to continue using the program can do so if they trust them. Screw Kaspersky! @Paul: Here’s the problem, if the government had said this were about national security, so “No non-American security products, period.” that’s one thing. But they didn’t. They specifically singled-out Kaspersky (though there are numerous other foreign security software companies in Israel, Finland, UK, Czech Republic and elsewhere), strongly suggested the reason was because Kaspersky was spying for the Russian government, and told private companies to stop using Kaspersky, as well. Yet, they provided no evidence to support their claims. I’m of the opinion that the US government shouldn’t be in the business of trashing individual companies – foreign or domestic – based purely on innuendo. If they have evidence, please come forward with it so we can all evaluate it. If it shows Kaspersky is in any way violating user security, then we should all steer clear. Obviously you are content to have records belonging to the US government to be at risk because of stupid notions of globalism. In case you haven’t noticed, this is ending in this country and many in Europe. Those governments supporting it are losing their people’s support and elections. @Mark: Go back and read what I said. I wouldn’t have an issue with the US Gov putting out a blanket restriction on non-US security products for Gov agencies. What I have an issue with is the Gov singling out individual companies, and communicating these concerns to private US corporations, as well (which they did), without providing anything to support those allegations. This has nothing to do with “globalism”, but with the proper (in my opinion) role of government as far as how it interacts with the private sector. @Josh Kirschner: Josh, I believe the U.S. government can dictate what software is used on government equipment without anyone’s permission, with or without rhyme or reason. The directive that President Trump signed implied no wrong doing, he merely signed a mandate to keep a certain company’s software off of gov’t computers, which he has every right to do. There are no Constitutional violations here. I have been using Kapersky products for not quite a year but since the reporting of this in the news, I have decided to transition over to another Internet software protection program. I don’t know what the veracity is of these charges but I am not interested in riding US dollars to another company when I can find somebody here. Perhaps I will go back to PC pitstop. We hope to see you come back soon! Please tell me if you can, anything that you know about these controversy surrounding Kaspersky software. I do not want to be reactionary and just jump ship unless I have some information that would indicate that that would be a good idea. @Joe Gates: How about simply using common sense? @Edward Slagle: Common sense would say ‘where is the evidence that Kaspersky is doing anything wrong’. Trump has no rights to act in such a manner and I hope the lawsuit proves successful and it costs the US goverment loads of money ! @Mike: wake up! President Trump did not pull the info together nor write the bill, he merely signed it making it official. He, nor anyone else needs any evidence to take this action. My gosh, is it possible for President Trump to do “anything” without people wanting hang him from the gallows, assuming he is always wrong? I too use PC Pitstop and have for 5 years without ever having any viruses, malware, Trojan horses or weird computer behavior. As another fellow chimed in, I too served in the NSG for 18 years. The government can and does basically what it wants in the name of national security without evidence (that’s called being proactive) or permission so long as they do not violate the Bill of Rights or the Constitution. @Mike: That loads of money where do you think that comes from. What was your reason for leaving PC Pitstop? Give PCM a chance. I think you’ll be pleasantly surprised. 4 years now for me and no regrets! I find it bizarre that it has taken the US government 20 years to discover that Kaspersky is Russian. I also think it’s a case of ‘pot-kettle’ when the US has google spying on anyone stupid enough to use their products. I’m British and would rather use Kaspersky than google as would many of us here.